We hit our local grocery store this weekend to have some coffee and pastries while Spencer was teaching sailing. I can’t wait until he gets his driver’s license! On the way out, we saw some fresh artichokes that were pretty inexpensive and picked up a few to take home to try out on grill. Give the artichokes a good washing, trimmed the stem back a bit, and cut the tips of the sharp leaves off with sharp kitchen shears. With a beefy kitchen knife, cut the tops back about half an inch. Then cut the Artichokes in half lengthwise. See the picture for how they should look. Brush all of the cut surfaces with a lemon that is cut in half. The lemon juice will stop the cut surfaces from turning brown. Tip: Don’t try to scoop out the fuzzy center of the artichoke yet. 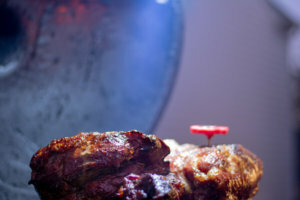 The meat is still really hard and I couldn’t get a good bite to scoop it out. Wait until after they come out of the Instant Pot. Add about one cup of water to your Instant Pot and add in the raised grate. 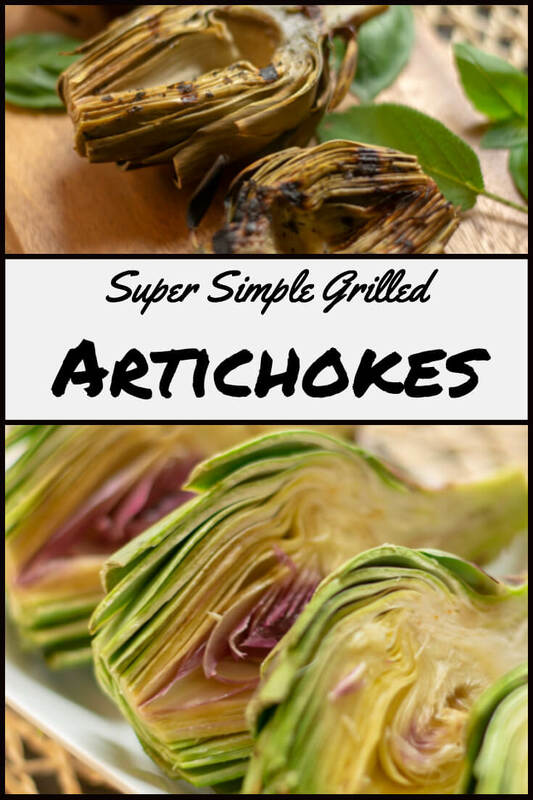 Set the artichokes on the grate, close the lid, close the vent, and press “manual” for six minutes. 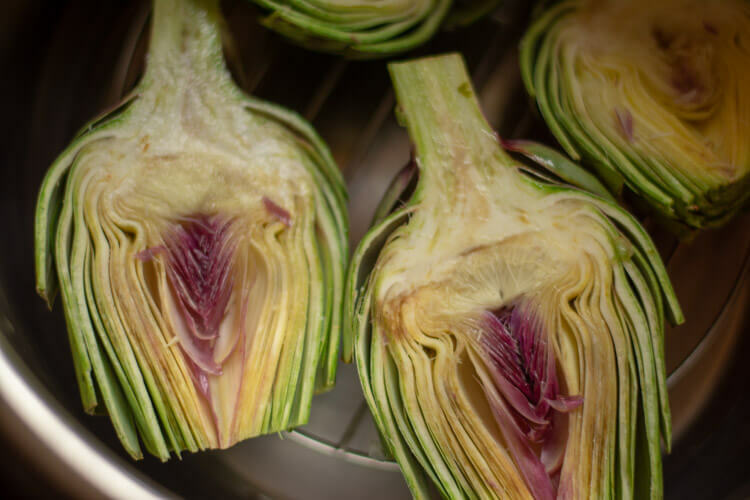 When the timer goes off, open the vent and remove the artichoke halves with a pair of tongs. Tip: If you don’t have an Instant Pot, don’t worry. 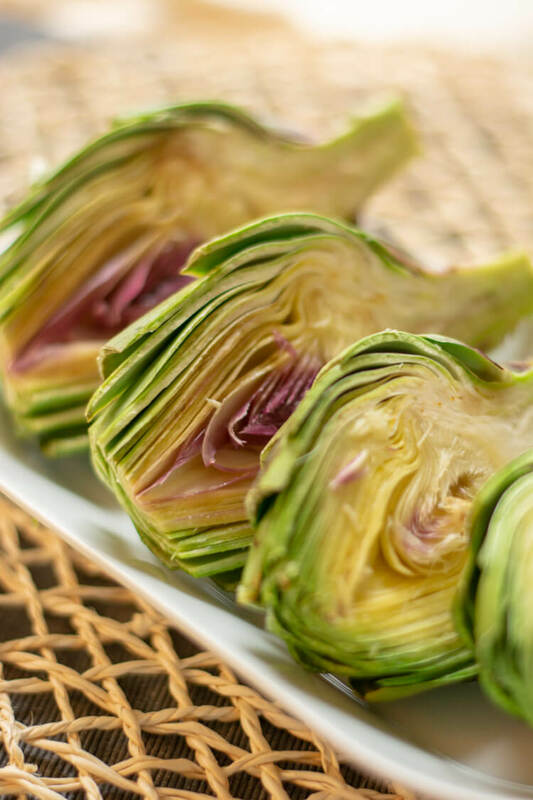 It is just as easy to boil the artichokes for about 10 minutes, or steam them on the stovetop for 12 minutes. All of these give you the same end result. Use a sturdy spoon to carefully pry the fuzz away from the center of the artichoke. It should be pretty easy to remove it. Try not to remove the small leaves. It should look like the picture. 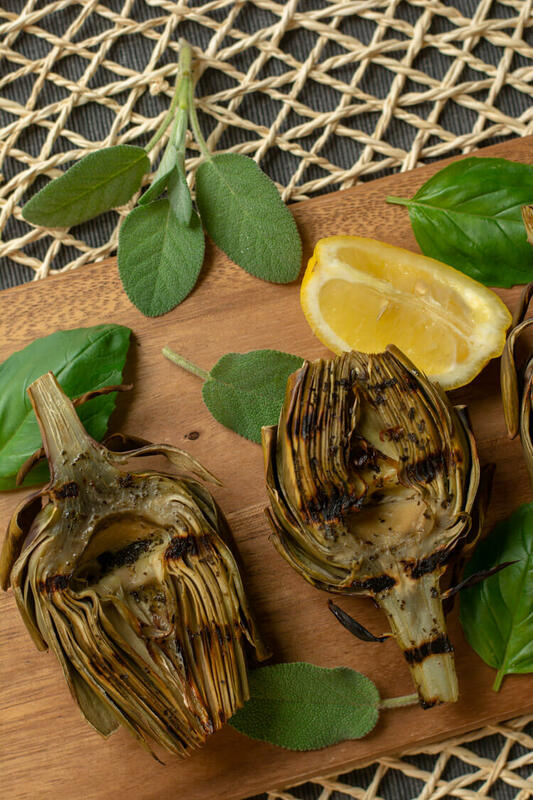 Mix dried basil and sage with a few tablespoons of olive oil and brush this mixture on the artichoke. Not only will it add some fun herb flavors, it will make it easier to remove from the grill without having to worry about it sticking. This is a fast-grilling recipe. Set up the grill for direct heat at 350 degrees. 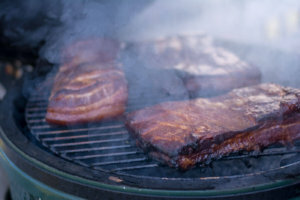 I used the GrillGrate on the surface to bring out the delicious flavor of the searing. 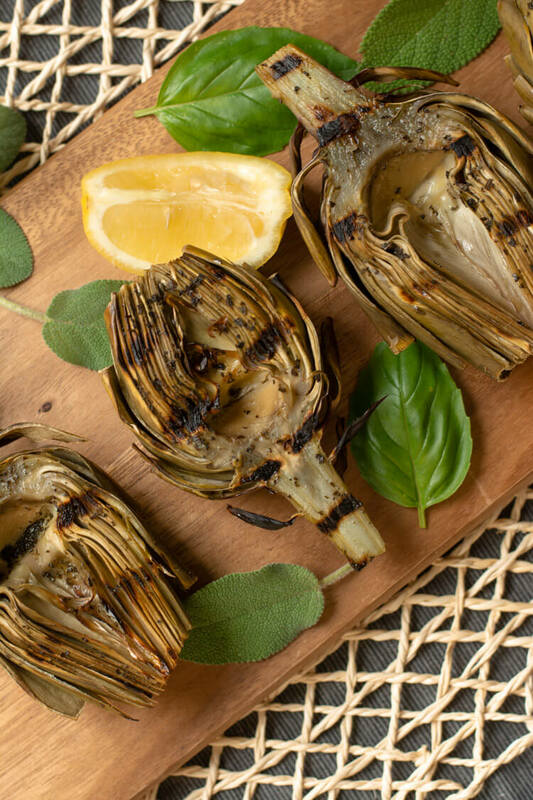 Flip the Grilled Artichoke after 4 minutes and repeat the searing on the other side. It really doesn’t take long to prepare this delicious veggie! Liberally coat the cuts with lemon juice from your cut lemon. This will minimize the "browning" effect. 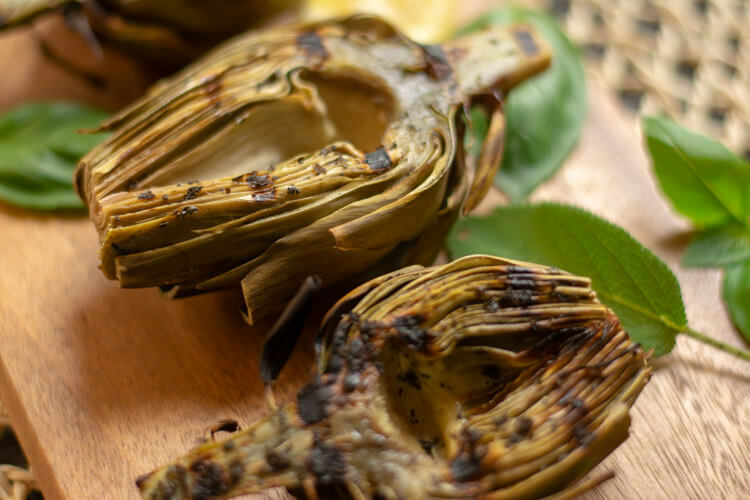 The Instant Pot cooked the artichoke. 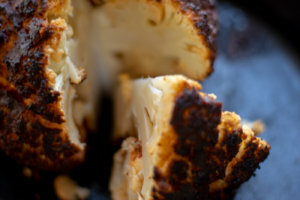 The grill is adding the nice flavor and creating a delicious sear on the cut face of the artichoke.